The NRFA’s modus operandi is driven by a set of key Core Values of Transparency, Accountability and Integrity, Teamwork, Innovation and Excellence, values critical to the day to day operations of an Agency entrusted with the huge responsibility of mobilising and managing the resource envelop of the entire road sector. It is for this reason that the Agency through its Integrity Committee (IC) has continuously initiated strategies tobuild capacity in its staffin corruption prevention through trainings. The Agency through the Anti- Corruption Commission (ACC) has conducted a training of 21 Toll Collectors nominated as Focal Point Persons from all the toll stations across the country. Officiating at the launch of the five day capacity building workshop in Lusaka, Agency Director/CEO Eng. 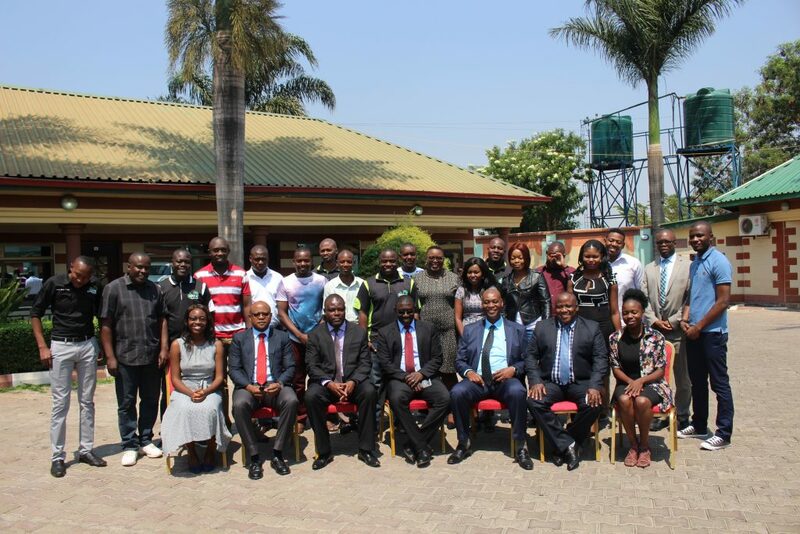 Wallece Mumba noted that the training asserted the Agency’s will and commitment to the highest possible standards of transparency, integrity and accountability in its operations in line with ACC guidelines. And speaking at the same function ACC Chief Corruption Prevention Officer Never Sakala said NRFA had set itself apart as a model in the fight against corruption in the country. “The Background to workshop is that Zambia has implemented a national Anti-Corruption Policy launched in 2006 followed by the implementation strategy in 2009, which uses a three model in fighting corruption. This three thronged approach is that of prevention, investigation, and sensitisation”, he said. Mr. Sakala said the NRFA had performed well in all the three models cited above and was of the leading examples to other public institutions that were in partnership with the ACC in the fight against the scourge.